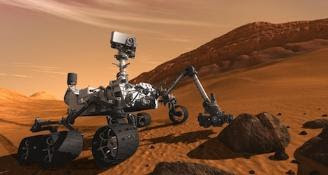 The newest, biggest, and best ever Mars rover, Curiosity, will be landing on Mars tonight at 1:31 a.m. EDT. Read about it and watch a video of its intricate landing process here. Update: Curiosity survived its "seven minutes of terror" and landed safely. .